The best way to acquire your CardiAid AED? Rental or purchase? Which option is best for you? Having a CardiAid AED can be the difference between life and death. We offer tailored public defibrillator purchase and rental solutions to meet your needs from under £1 per day right through to our complete business packages that enable you to remotely monitor your CardiAid AED. Call one of the team on 01452 688188 today or choose from our options below to see how CardiAid AED can benefit you and those around you. Do you recognise the importance of your premises or business premises being fitted with an AED public defibrillator, but are put off by the purchase price? 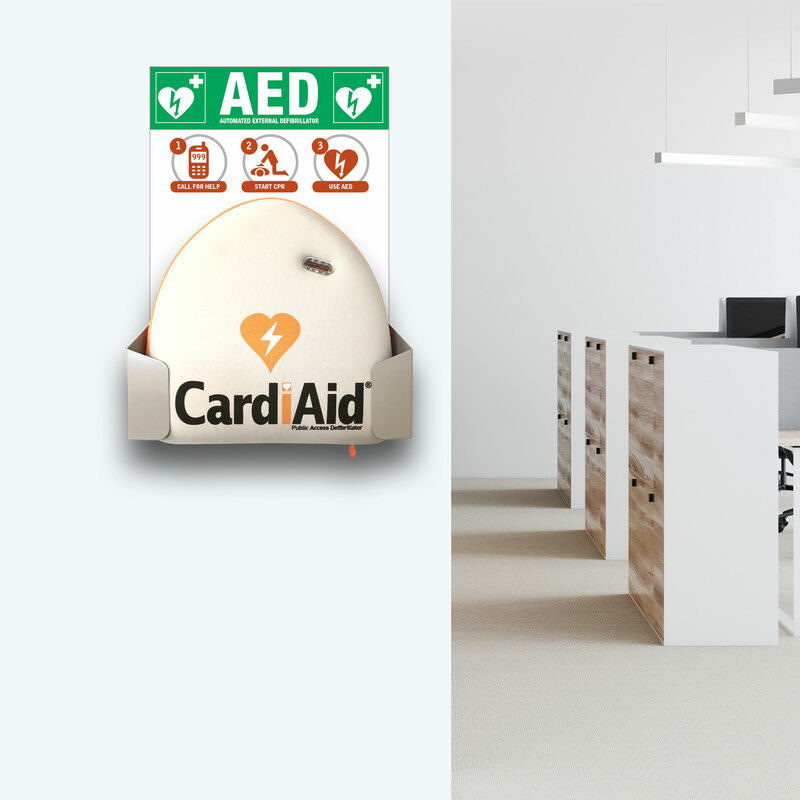 If so renting your CardiAid AED is the answer. For a one off payment we can provide your organisation with a public access defibrillator and with our PRICE GUARANTEE we won’t be beaten on price. Plus you can specify your own bundles which can include training, servicing, accessories and remote monitoring for businesses with multiple CardiAid public access defibrillators across multiple sites.